The “Emerson Lions” phrase will not appear on the new merchandise sold in Barnes & Noble at Emerson as a result of the company’s decision, an assistant store manager said. The lionshead will still be used on Emerson apparel, according to Jennifer Bonner, the assistant store manager. 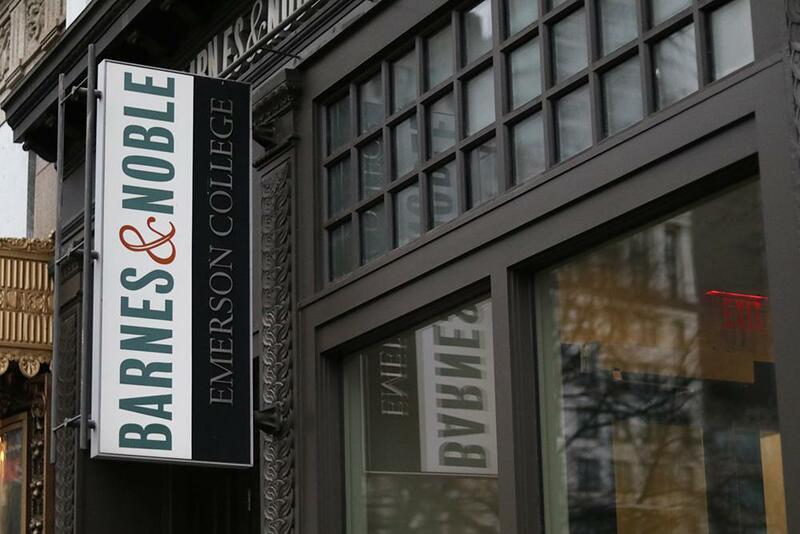 Associate Vice President of Marketing Michael Sarra—who played a large part in reshaping Emerson’s visual identity—wrote in an email statement that decisions about products sold in the bookstore are ultimately the responsibility of the Barnes & Noble company. He wrote the discussion to incorporate the college’s new branding into Barnes & Noble at Emerson College occurred last fall. “Throughout the planned evolution of the college’s brand, the Office of Marketing worked with Barnes & Noble to transition relevant merchandise to the college’s updated identity,” Sarra wrote. 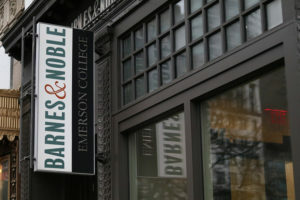 Barnes & Noble at Emerson College Store Manager Douglas Finlay said new merchandise started selling in May. Barnes & Noble textbooks employee and graduate student Sarah Mackeben said the textbooks store will also be removing the Emerson seal, used and established since 1982, from supplies associated with Emerson. “Once some of it sells out, that’s it,” she said. Despite the seal not appearing as often in Barnes & Noble stores, it will still be closely tied with the college’s brand, Sarra said in an interview. Freshman Daniel Reilly said removing “Emerson Lions” merchandise takes away an essential part of the college’s community, including athletics, which uses the lion as their mascot. Julien Marques ‘99, associate director of business development and graduate professional programs, said he thought the college made a huge mistake when the Office of Marketing replaced the seal with a smaller “e” as part of another rebranding initiative in 2004. Marques said he understands the college’s decision from a corporate point of view, but as an alum, he doesn’t see any harm in keeping the seal. Correction, Feb. 1: An earlier version of this article incorrectly stated Julien Marques ‘99 thought the college’s current rebranding was a huge mistake. Marques said he thought the rebranding effort in 2004 was a huge mistake, not the flourish. Correction, Feb. 15: An earlier version of this article incorrectly stated the removal of the “Emerson Lions” phrase was due to the college’s rebranding.